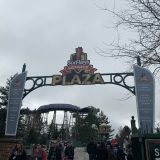 Opening Day was on April 7th, 2018! Most of you have seen the VLOG we created and seem to be enjoying it a lot! We plan to create more VLOGS as time goes on and as well as other content! 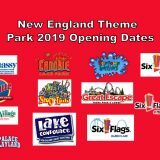 I will say that this year at Six Flags New England looks to be an amazing year! 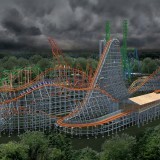 Days before the park opened, the park announced Gotham City, as well as Riddlers Revenge! 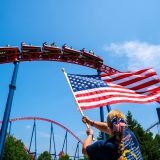 Harley Quinn will officially Open on June 2nd! 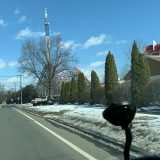 When I talked with New Park President Pete Carmichael he informed that those with Memberships will be able to ride Harley Quinn before the ride officially opens! The park wasn’t crowded as the cold temperatures kept the crowds at bay! 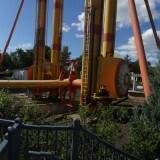 Goliath did not open with the Park as the Train is not in the station yet, but the PARK said hopefully soon! 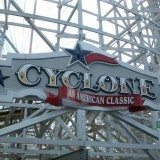 Wicked Cyclone was living up to its name on opening day with an insane ride and never letting up once throughout the entire course! Also, Coaster Creamery was open and you know we had to try it! They currently have 3 Thrill Shakes and we tried Cookies and Cream! You can see the mini review on it or you can wait until Friday for the Full review! 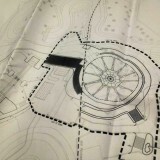 With all the projects going on around the park, the park is looking amazing! The New Bathrooms in Looney Tunes looks great, the bad news is, the Looney Tunes Stage was demolished and Speed Trap was moved over so they could build the bathrooms! We used some of the benefits of the Membership and will be going over those details tomorrow night on SFNEOnline’s Video Podcast ” The Grove Show ” If you click the VLOG Video below, you can click the subscribe button or head to our channel and watch it tomorrow night! 2 more things before I go! IF you have not, make sure you follow us on FACEBOOK! We are so close to hitting 2K followers! There will be a special video being released on Tuesday at 11:00 AM on our YOUTUBE Channel! When I get a chance while I’m on the cruise on Tuesday, I’ll post it on FACEBOOK! I did not want to schedule it, due to nobody knowing what it is, what it is about, nothing! All will be revealed on Tuesday Morning, so make sure you SUBSCRIBE and not miss out this very special video, that means a lot to me! It’s not a gag, a stupid Green Screen Video, it’s a legit awesome video! All I ask is if you do watch it, leave us a comment on the video, share the video! When you watch the video, you will understand why I am asking this! Even, if only one person watches it and shares, then I did my job! Next story Harley Quinn Spinsanity Is Now Open!